Important! Visitors and Musicians are required to setup and tear down within their block of session time. For example, if a musician/band reserved session time from 6pm-9pm, they would begin setup at 6pm and must be completely vacated from the rehearsal room by 9pm. If you need more time, reserve more time to accommodate your needs. 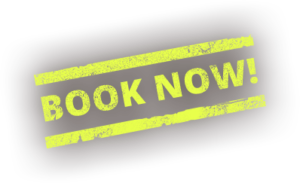 Session bookings, times and dates are subject to availability and approval from a member of the Mystic Rhythms Studios team. Mystic Rhythms Studios reserves the right to refuse and reschedule any confirmed bookings. Please make sure that you do not leave personal items unattended and ensure that you take all of your belongings with you when you leave. Mystic Rhythms Studios is not responsible for any personal items that are lost or damaged on the premises. Mystic Rhythms Studios requires 24 hours notice for cancellation on approved (confirmed) bookings. Late cancellations and no-shows are subject to a $50.00 charge. No drugs or alcohol are permitted at Mystic Rhythms Studios. You break it, you bought it. Any damages caused to Mystic Rhythms Studios equipment or premises by visitors, musicians, or bands are subject to reimbursement at replacement value and the person(s) responsible will be held liable. GST is included in rates quoted on the Mystic Rhythms Studios website.